People from all over the world meet on a weekly basis at the Atelier de conversation of the Bibliothèque publique d’information located in the Centre Pompidou in Paris to practice their French. Refugees of war sit together with businessmen, easy-going students next to victims of political persecution. As diverse as its members might be, they have one goal in common that connects all of them: to learn the language and find companions while living abroad – if not to survive living abroad. At this hopeful place social and cultural borders dissolve. People, who otherwise would never be in touch, meet eye to eye. “A benevolent dictator under these circumstances,” says Norbert Abeles, protagonist of the eponymous documentary, “is the best thing. He uses the reigning conditions for the benefit of the people.” What conditions are they? Conditions like those that prevail in Malawi, where Abeles has lived for more than thirty years: primarily a vicious circle of intense poverty and little opportunity for education. Conditions produced by colonialism, which persist as its legacy even after the country´s liberation. What makes Abeles´ statement so remarkable is that it comes from someone who himself had to flee from a dictator. As the child of Jewish parents, he was brought to Great Britain by the so-called “Kindertransports” in 1938. He left his mother behind in Vienna (she was later deported by the Nazis and murdered), his father had already committed suicide one year earlier. In 1956 Abeles came to Africa as a colonial official in the British Colonial Service. 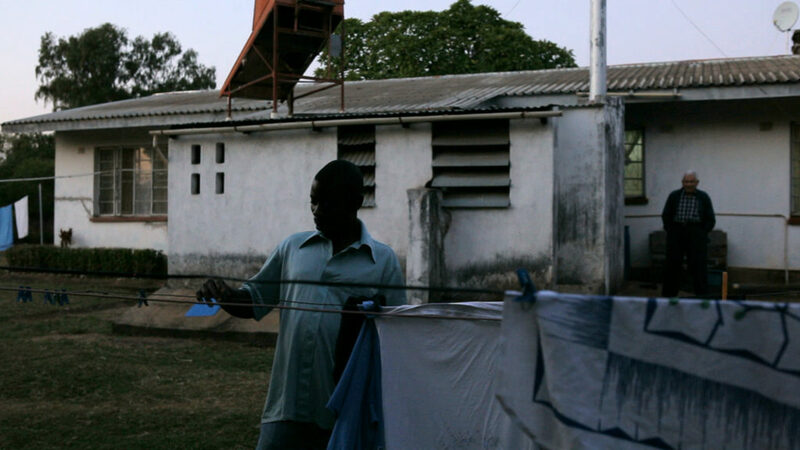 He now resides in Nkhotakota on Lake Malawi, where he lives with his wife and a staff of ten. Austro-American Youth is a film about the loss of home in one’s own country, about the recovery of happiness in a foreign country, and a new threat from scratch. 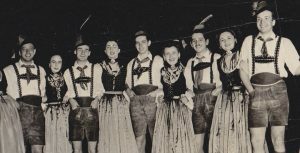 In 1941, youthful refugees from Nazi Austria founded the club Austro-American Youth in New York. In a short time, the group becomes a sort of home for several hundred people. There are excursions to the greenery, dancing, singing, gossiping, and not a few find in the club the love for life. But behind the unshakable facade of the Austro-American Youth, there is also an explosive political dimension. The war is only a few years past, the freedom gained is still quite fresh, and fate hits a second time. America is in the cold war and Senator Joseph McCarthy blows to the communist chase. Two co-founders of the club are exposed as Communist spies, and the entire group is targeted by the FBI. From the first high mountain to the sea, that’s the plan. 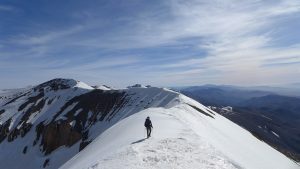 Along the main chain of the High Atlas, a five-headed Austro-Moroccan mountaineer group sets out to cross the highest mountain chain of North Africa in length. Along old mule trails, the route leads not only into breathtaking high mountain landscapes and across six 4000m summits, but also to the traditional clay villages of the Atlas Berbers. The encounters with the people in the valleys are just as part of the journey as the remote expanse of the snow-capped peaks and elevations of the Atlas Mountains. Cast: David Falch, Andreas und Martin Hasenöhrl, Adnan Khzoum, Rupert Weber u.a. A poetic documentary about dreamers and the development of dream landscapes in the development process of Polaroids. ‘Those who are prevented from dreaming for a long time must inevitably go mad,’ says Michael Ende. There are people who believe that the world was created by dreaming hikers. From the glimmering nothingness of the primordial age, the structures of dreams formed, the tangible grew out of the incomprehensible. This mystical process is amazingly similar to the development process of a Polaroid photo. At first only white, then shadows and hunches, in the end the image of a world we have not yet seen. 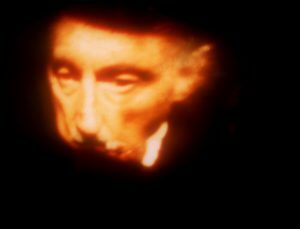 The dream film follows this unheard-of movement, which floats image material from the depths of the subconscious to the surface. The collective dream factories are turned to the back, the very individual journey into the realm of the double exposures is the focus. Holy Waters is a film about people worshipping water. And a movie about my grandmother who abhors water. Starting point is a small spring in the Upper Austrian province, which becomes a great reflection of human longing. 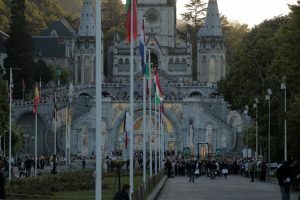 An associative journey into the realm of energized water, around the devotees, the butcher, the doctor from Lourdes, and the prominent water guru from Japan. A film about the substance of all life, and an approach to existential questions. Can water wonders work, and can liver cheese be sacred? A portrait of the author Gerhard Amanshauser, who died in the autumn of 2006, which is the starting point of his never-ending book project ‘Traveling in my own room’: his life and work are in dialogue with each other in the form of scenic and literary excursions and filmmaking trips into the past. Film-translated delirium and visions attempt to break the disease-related isolation. “Be the change you want to see in the world” – true to the motto of his great model Mahatma Gandhi, now 33-year-old Gregor Sieböck declined a job at the World Bank to walk around the world . He has traveled over 15,000 kilometers since then: on the Way of St. James, across Patagonia, on the old Inca-road through South America, through the USA, Japan and New Zealand. 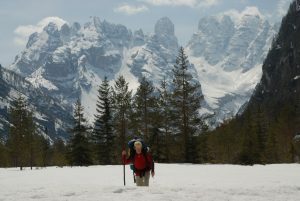 In the three years of his hike, he has gone further than many of us in their whole life – and this in a double sense, because ‘one has to let go to get ahead’. A portrait of the wanderer between the worlds Gregor Sieböck. 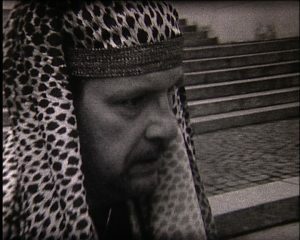 “Pharaoh Bipolar” is a cinematic experience in the field of art and disease – an encounter with the bipolar actor Werner Ludvig Buchmayer, who has suffered from the bipolar disorder (formerly manic depression) since his fifteenth birthday. We have witnessed the filming of his ‘Pharaoh film’, from the first casting to the premiere, high-altitude flights on the set and a deep fall into psychiatry, and went on a quest for the human being caught between two extreme Poles. The inner turmoil of the protagonist transfers to his family environment and is also reflected in the reactions of society, which raises the question: who is actually ‘crazy’ here and who ‘normal’? In the Bavarian-Salzburg border region an ancient heathen tradition is still practiced with great enthusiasm: the so called ‘Aperschnalzen’. While the wicked winter spirits were to be expelled by the loud sounds of the whip, this now affects the opposing teams. 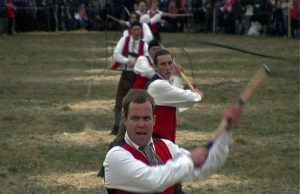 One of these teams, the ‘Pass’ Gois IV, accompanies the director and Schnalzer Martin Hasenöhrl during their six-week training for the ‘Great Rupertigaupreisschnalzen’, where more than 1500 active ‘Schnalzer’ from Bavaria and Salzburg – there and here – meet each year. A film not only for ‘Schnalzer’, but also for those who want to slip into this role. A film also for all those who have always wanted to understand what these men are doing right there and not at least a portrait of a small village in the exceptional state. A residential complex in the vicinity of the station in Salzburg: the object of the offense – and the impetus for the filmmakers to penetrate unknown worlds of life. The journey through empty corridors, along karger walls into the interior of this microcosm, is characterized by the feedback between foreign and own voyeurism – and ultimately develops into a history of failure. Head station as a metaphor end station.